At first glance you may call Bistro Electric’s Water Kettle cute… a bit of fun. What with its bright colours and its funky design. But look a little deeper and you’ll see just how intelligent this baby actually is. You see, it actually provides you with the most energy-efficient way to boil water… allowing you to monitor exactly how much water you boil with its transparent measurement window. 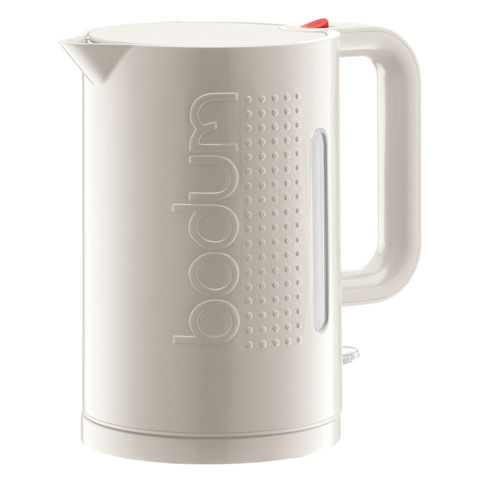 It's super quick and easy to use, because boiling water should never be complicated or time-consuming. And its cord is only in the base, meaning you can take the kettle away with you as far as... No wait! Come back! It’s time for another cuppa! Dimensions: 15 x 22.5 x 23.5cm.